ACCU-DART is a real-time inventory control solution designed to integrate directly with your accounting or ERP system. Using radio-frequency scanners, ACCU-DART allows the warehouse staff to instantly and easily update the ERP system, ensuring that all users throughout the organization have the most up-to-date information. ACCU-DART integrates directly with a variety of ERP solutions, allowing transactions to be updated in real-time. No second database to maintain, no duplicate data to reconcile. By updating your inventory transactions in real-time, you will save countless labor-hours, both in the warehouse and the office. 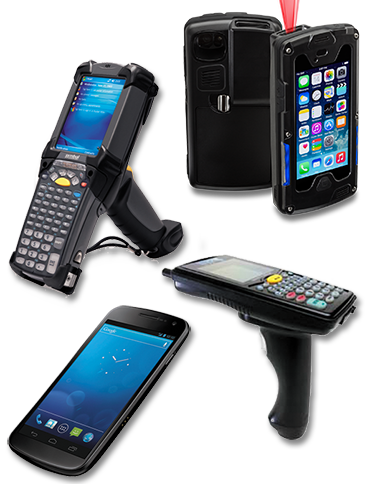 ACCU-DART verifies directly with the ERP software that the correct items are being scanned for every transaction. ACCU-DART is an affordable inventory control solution. Each feature is priced as an individual module, making it ..
ACCU-DART offers a large collection of modules which provide essential functionality for your business. Our list of available modules.. Explore our NEW BLOG “Focus on Inventory” to learn more about how inventory control can benefit your business! There can be substantial benefit to warehouse/shop floor operations that track bin location of inventory. The ability for the system to know where to find particular items, lots or serial ….